This week has been a frustrating one for me because of trivial obligations like an annual doctor’s appointment and buying food. Activties like this cut into my painting time. So I have not finished the Irish painting that I am working on. 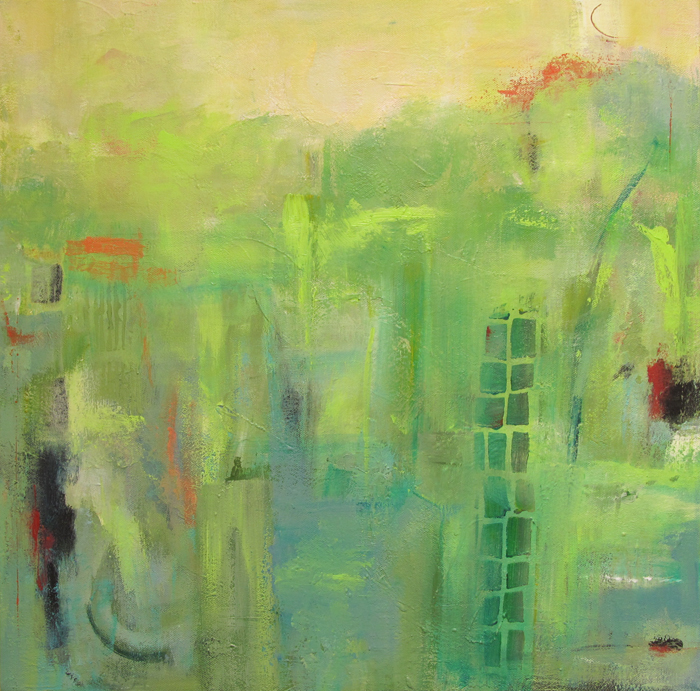 Since I frequently think of my journey from never having painted to now, I thought I would write about a painting that I did three years after my first painting class in France. This time the painting class was again in France, but not where I had originally painted. It was in Collioure on the Mediterranean where it meets the Pyrenees. 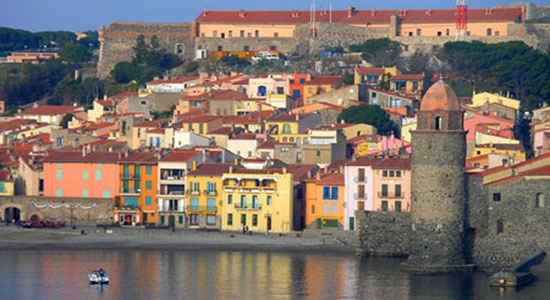 Collioure is a very picturesque small town that has drawn many painters including Matisse, Derain and Dufy. 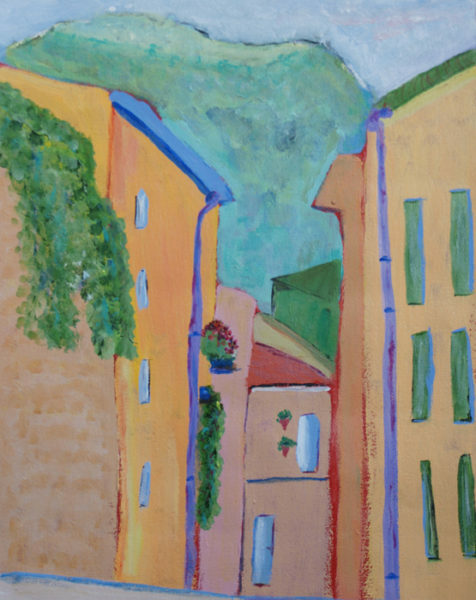 It is referred to as the birth place of the Fauvism movement in painting. This class was taught by the same teacher I first had in Soréze, France. She considered herself an Fauvist painter. She was responsible for my first exposure to Fauvism. As you can see from the above painting, my drawing skills were still lacking as were my use of brush strokes and layering color. I had not yet mastered the idea of perspective. Fortunately, it is a very colorful town so some of the colors were representative of what I saw and some were colors that were already a favorite part of my palette. This painting was done in plein air, while I was sitting on the steps of a lovely house that looked down into the town and surrounding hills. It was an ideal place to paint. Although today is the first time that this piece has been photographed, I see it every time I walk into my studio because it is hanging on the side of a cabinet. It reminds me of how I started and how far I have come. I have kept all of my drawings and paintings over the years. The only ones that I don’t have are sold. It is important to me to be able to look back on all of the work I have done. They always make me smile. This entry was posted in Abstract Landscape Paintings and tagged abstract landscape painting, acrylic painting, Collioure, Derain. Dufy, Fauvism, France, Matisse, Sorèze on September 4, 2016 by Ann Hart Marquis.